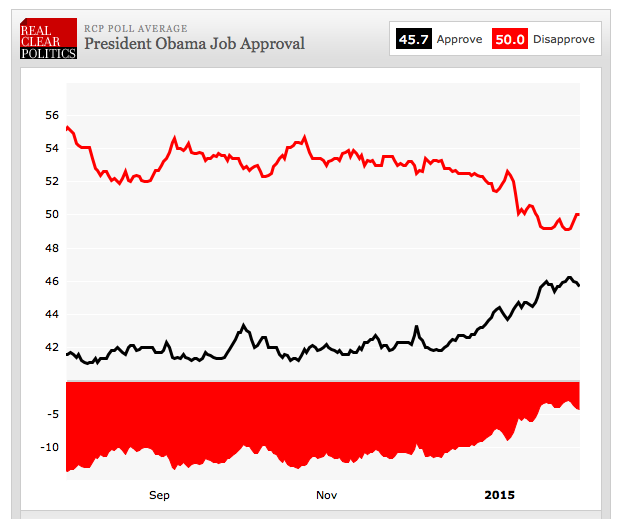 Perhaps the prevailing theme of this blog these past seven years has been the hope and promise of the Obama presidency. I’ve long insisted that his record will only be fully understood after eight years, that his role as the liberal Reagan of our time could not be glimpsed fully in real time – the only time a blog can function in – but needed some perspective. I’m sure in the future I will write an essay on all this, but I owe you my current state of mind before I bid farewell tomorrow. The Republican Congress, as one might expect from a brain-dead party, has staggered or meandered out of the gate in 2015. It awaits a message and a platform from a presidential candidate. And look a little at what they’re saying. Romney wanted to run on tackling poverty. Jeb Bush is running on economic mobility. There is, in fact, a budding consensus that social and economic inequality is a real problem – and that the right should have some sort of answer. This is the moment for the reformocons to make their move, and I’m glad this blog has championed (and even employed) them over the years as well. But as growth has returned, the Democrats have the advantage: “middle-class economics” may well only work by raising some taxes on the extremely wealthy, in order to de-rig the system, and the Democrats may be the only party prepared to do this. The last six years, moreover, have vindicated the Democratic strategy of using a stimulus to get out of recession, rather than the Republican one of following Angela Merkel toward deflation. The wars? They’ve become minimalist. The economy? It’s growing faster than anywhere else in the world. The deficit? Plummeting. Unemployment? Lower than before the recession. Gay rights? A revolution. Climate change? A decisive shift in government spending and regulations. Healthcare? A new guarantee of security for millions (including me) that will become very hard to take away – unless the Supreme Court decides to politicize itself more profoundly than it has since Roe vs Wade. Iran? Still very hard to tell if the negotiations can work – but we seem to have avoided premature Congressional meddling. Legal weed? He got well out of the way. Iraq? So far, the ISIS containment strategy seems to be holding. Israel? The final showdown with Netanyahu is imminent – but again, Bibi may have over-reached in the last few weeks. If he is not re-elected, it will be a huge triumph for the president. Torture? Ended with at least some formal, public accounting. There is much more work to be done. But we have made a start. Knowing Obama – and history – some of these assumptions will shift in the next two years. He’s always worked our nerves – and so can events unknown. But the case for this unlikely president as a pivotal figure in American history – ridiculed by so many for so long – is mounting. I have mixed feelings, of course. Obama challenged my own free market, small government principles in ways no previous politician had – and the evidence of history did the rest. But an Oakeshottian conservative knows better than to stick to dogma in the face of data, and I can see this presidency as a critical balancing out of the excesses of the Bush-Cheney years – and the Reagan legacy – in order to keep the ship of state on an even keel. What happens next I may find less congenial – a more liberal and expansive role for government. But the Clintons have to make that case on new foundations in a new world. I’m known for changing my mind, when the facts change. But on this, I remain convinced that we were more than right to elect Obama twice. His even temperament, his endurance of so many slings and arrows, his integrity and his patriotism loom large at this moment, but will seem, in my view, even larger from the rear-view mirror. We will miss this man when he is gone; and I am deeply proud of having played some small part in framing the case for him, and in seeing it through. Ah yes. One last time with feeling. Meep meep, motherfuckers. Meep Meep.